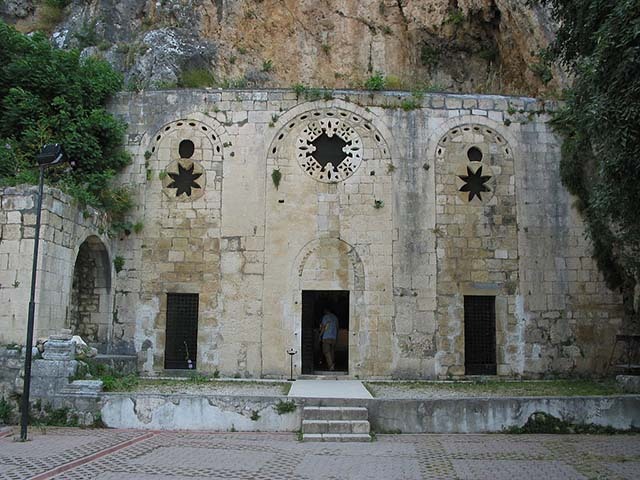 ﻿Church of Saint Peter or St. Peter's Cave Church, is composed of a cave carved into the mountainside on Mount Starius Hatay Province, Turkey. This cave is considered to be one of Christianity's oldest churches. The oldest surviving parts of the church building date from at least the 4th century AD. Crusaders of the First Crusade who captured Antakya in 1098 AD lengthened the church by a few meters and connected it with two arches to the facade, which they constructed. The church was restored, and the facade was rebuilt in 1863 AD.